have you been putting miraclegrow in your fringe? it looks lush. I personally think this is the perfect shade for you. I got a sample of this with my last Estee Lauder purchase, and yes to everything you said! It doesn’t offer me a whole lot of coverage, but I find I like it for days I am in as rush. I put this on, blush, powder, mascara, and a tinted lip balm. Oil Control without being matte, evening out complexion, SPF… this is all music to my ears!! I can’t wait for it to be available around here!! I am so pleased that you genuinely posted the word ‘wanky’ on here – I wondered if you would after last night’s tweet but I am very happy to see it. Feel like a child reading a swear word for the first time again! I know that the colour isn’t the best match, which always makes a difference, but I think the luminosity of your skin is so much better in the before pic. This stuff is amazing in every way for me, and I do have very dry skin but I always use cream no matter what I use on my face for coverage so that was not an issue for me. 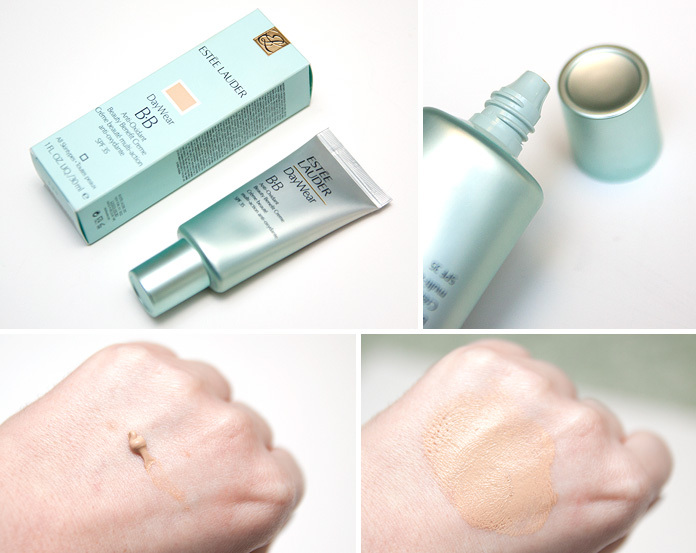 I was in the market for a tinted moisturizer for the hotter months coming up and this came to my rescue as I find it very lightweight, and it is the best of both worlds because it also gives me the coverage I want. I have a lot of redness in my skin, and this does the job nicely. It’s too bad you didn’t have the best experience with this. It’s not the point of your post obviously, but as an aside: you have BEAUTIFUL radiant almost flawless perfect skin!! You don’t need any sort of foundation- maybe a powder in case of oilies or something– but i swear you have stunning skin!! 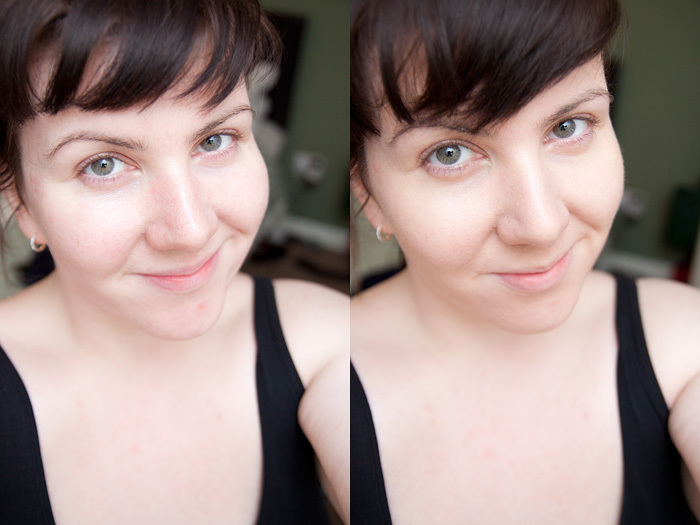 Biggest difference is definitely coverage – which kinda affects the other variables… I’d say that the BB is more traditionally foundation-y and the daywear sheer tint should still be your number one choice if you have decent skin but are looking for a ‘pep’ rather than a ‘solution’. As for longevity, it’s been a while but I can’t remember having any complaints with either so the best I can tell you is that neither should give you any issue or trouble in that respect but this is on a non-oily skintype, slightly shinier t-zone but nothing that eats away at makeup. It blends in really well with your skin giving you a subtle glow. Did you try on shade 1 (lightest) or shade 2 (the darker one!) ?